Creatio Boston Chapter leader, Young Jin Song is planning for the first event in Boston Chapter. She utilized her home basement as a gallery to open for local residents and Harvard students and give opportunities to use their talents and encounter God’s calling. The name of the gallery is “BAAA,” which implies the sound of lamb. 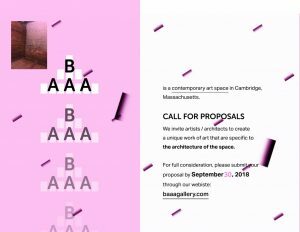 Yong Jin started making poster and website to promote for accepting proposals. 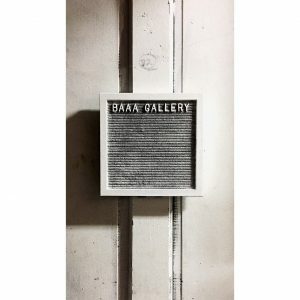 As the name of the ‘BAAA Gallery,’ may the lost souls who are searching for God can draw into this place and recognize the Lord’s calling through this channel.